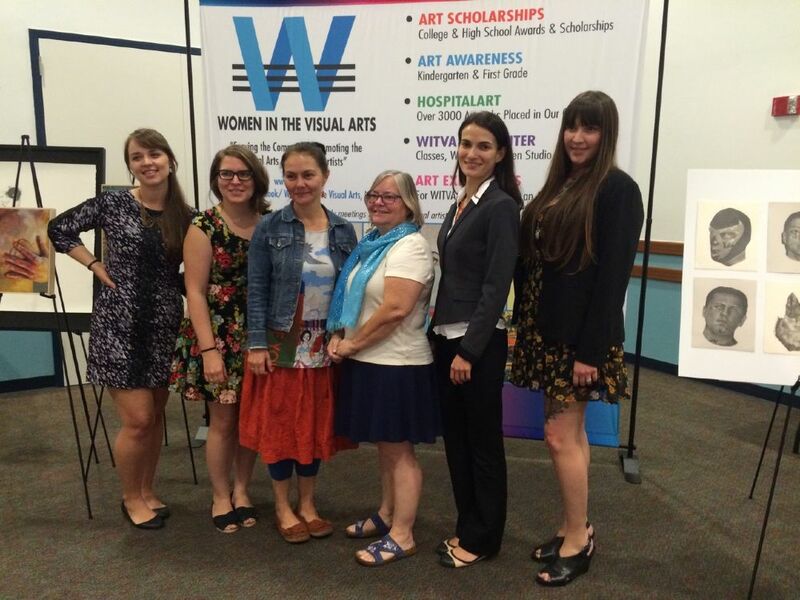 Master of Fine Arts candidates Lorna Ruth Galloway, Diana M. Garcia, Inga Karelina, and Susan Maas received 2015 Women in the Visual Arts, Inc. (WITVA) Graduate Education Scholarships. The four Masters candidates received four out of six awards given by WITVA this year, and it is the first time so many FIU women have been honored by the organization. In addition, Galloway and Karelina are receiving WITVA Graduate Education Scholarships for the second time in a row. The Masters candidates will be given their scholarship awards on Friday, April 17th, 2015. In the header image are the winners of the 2015 WITVA Graduate Education Scholarships. Second from left: Lorna Ruth Galloway; fourth from left: Susan Maas; fifth from left: Inga Karelina; last: Diana M. Garcia.